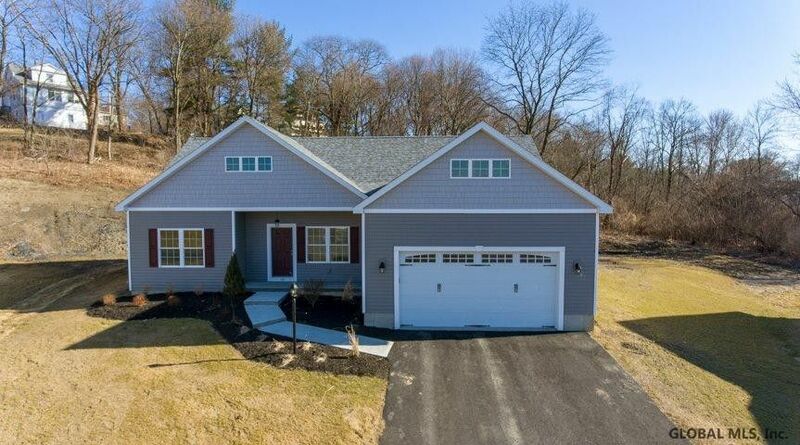 Brand new one floor, bright and open living space with 3 bedrooms and 2 baths on a desirable, quiet 12 home cul-de-sac in Niskayuna schools by McDonald Family Builders. Full of upgrades. Expansive great room, with hardwood floors, corner gas fireplace and 9 ft ceilings. The kitchen features a 10 ft. granite island for entertaining and cooking, stainless steel appliances, gas range, designer cabinets with custom crown molding. Master suite includes a walk-in 5ft. floor to ceiling tiled shower. Covered front porch and spectacular landscaped wall in backyard. Egress window in basement ideal for a finished space. Full new home warranty. Craig/Glencliff Flex Elementary & Iroquois Middle School. Convenient commute to shopping and schools. Other lots and plans available.